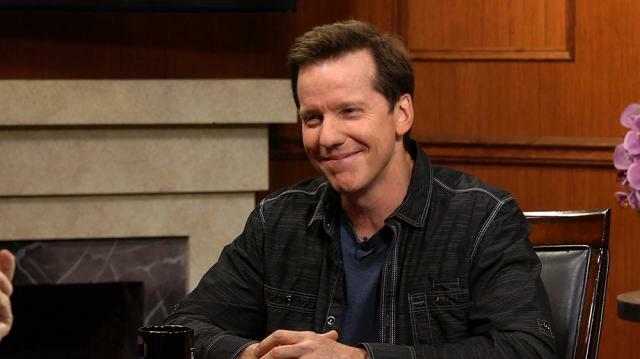 Renowned comedian and ventriloquist Jeff Dunham explains why his brand of funny has found global acclaim, talks the ever-changing state of comedy, and details the genesis of his famed character 'Achmed the Dead Terroist'. Plus, Jeff and his wife Audrey preview their new Food Network show, and Larry gets an opinionated dose of the one and only 'Walter'! Larry King interviews Jeff Dunham, a renowned ventriloquist, stand-up comedian, and ‘New York Times’ bestselling author whose Spark of Insanity tour holds the Guinness World Record for most stand-up comedy tickets sold. Dunham is currently doing the Perfectly Unbalanced comedy tour, and starring on the Food Network show ‘Incredible Edible America’ with his wife Audrey. Larry asks if Dunham was a kid ventriloquist, and he confirms, recounting how he got his first dummy in third grade. In response to what makes a great ventriloquist, Dunham talks about his early performances and learning to be funnier to match the other comedians. Even his tour titles are fun nods to the fact that he is essentially a grown man playing with dolls, a hard worker who knows his work is ridiculous. Larry asks Dunham why he tours when he can stay and perform in Vegas. Dunham says his domestic tours turned into international surprises, and how it’s a wonderful thing to go around the world and make different people laugh the same. Larry asks how he comes up with his characters, and Dunham says he responds to what’s going on in society and what makes people laugh the hardest. In reply to whether he has comedic bounds, Dunham acknowledges that every good comic knows the limits, especially since people are now worried about being politically correct. King gives the examples of Bill Maher and Kathy Griffin, cases which Dunham distinguishes between. Dunham says you should surround yourself with some people who disagree with you, and listen to both sides. The new side of Dunham’s work includes a Netflix special he shot in Ireland, and he talks about creating a special character for the trip—a baby with a drinking problem. Larry asks how Dunham came up with his character Achmed the Dead Terrorist, and Dunham describes the process of creating a dead Osama a year after 9/11, with appropriate and well-received jokes. Larry receives another guest onto the show, welcoming Jeff’s wife Audrey Dunham as she talks about ‘Incredible Edible America.’ The Dunhams already travel on the road together and find fun foods in each city, so they simply teamed up with the Food Network to do a show. A clip from their show is played, featuring cool and insane dishes. Larry asks if Dunham has taught his wife ventriloquism, but he can only teach the basics, since the larger skill is magician-like misdirection. To demonstrate, Dunham brings out his puppet Walter, a curmudgeonly old man character. He jokes around with Larry via Walter, who answers Larry’s questions with funny banter.